Buy love-drawing crystal bracelet from the best online crystal shop in the Philippines. 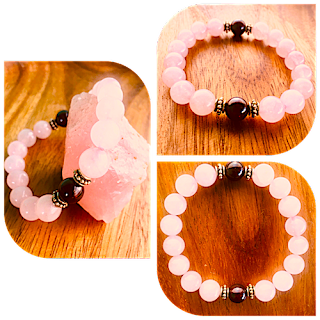 Composed of genuine Rose Quartz and Garnet beads, this crystal bracelet is perfect for those who want to manifest a successful relationship of any kind. Hi na cleansed / rituals po ba to if i purchase? Yes. Lahat po ng products namin ay cleansed and charged bago po namin ipadala sa customer. Genuine crystals po ba? Included na po ba ang shipping? Genuine ang lahat ng crystals namin. Shipping fee is not included. Pwede pong pacustomize? Hm po? Yes. Please email us the details at natureoz.com@gmail.com.